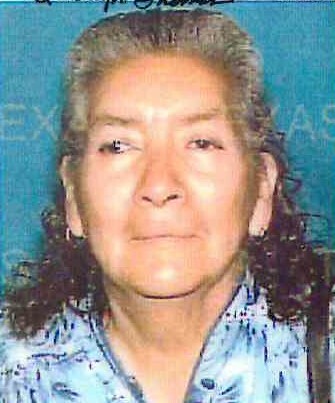 Paula Castellanos, 86, was called by the Lord on September 4, 2018. She was preceded in death by her husband, Benito Castellanos, brothers: Nicolas Salazar, Manuel Rios & Inez Salazar & sisters: Marcela Perez & Guadalupe Guerra. Left to cherish her memory is her son, Juan Castellanos, grandson, Brandon Castellanos, siblings: Maria Teodora Cavazos, Hilario Salazar & Eduardo Salazar, nieces, nephews, other relatives and friends. A visitation will be held on Friday, September 7, 2018, from 5pm to 9pm at Gamez & Sons Funeral and Cremation Services where a rosary will be recited at 7:00pm. Funeral Services will be on Saturday, September 8, 2018, from the funeral home to St. Frances Cabrini Catholic Church where a funeral mass will be celebrated at 9:00am. Interment will follow immediately at the Calvary Catholic Cemetery. Pallbearers will be: Juan Castellenos, Antonio Salazar, Alejandro Salazar, Nicolas Salazar III & Roberto Gomez. The family would like to express their utmost gratitude to her nurse Norma Martinez for all the special care attention given to Mrs. Castellanos.